DTAR200 doubling and twisting machine is built on our new compound twisting platform DTAR. DTAR platform combines high efficient two for one twisting with ring twisting. 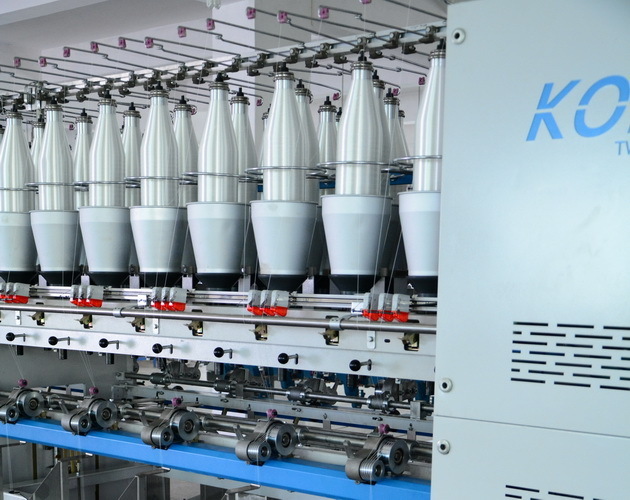 The primary twisting of single yarn by two for one twisting spindle on top deck , 2 or 3 plyassembling in the middle and secondary twisting by ring twisting on bottom deck. DTAR200 has supply bobbin gauge 200mm, mainly for medium denier (single ply 275dtex~1100dtex) high tenacity polyester or nylon filament sewing thread and technical yarns. 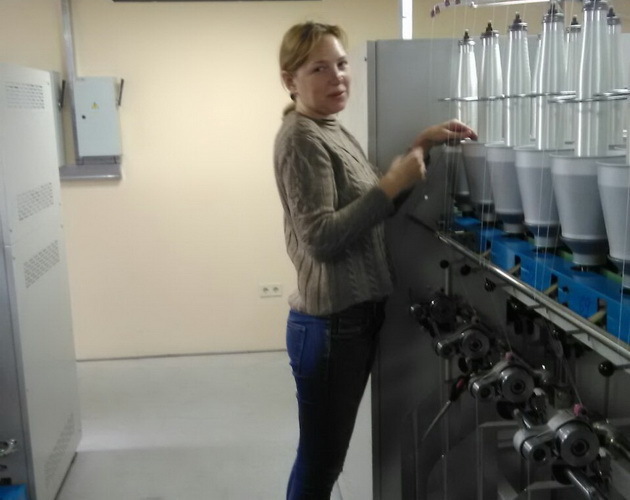 DTAR200 is born for labor saving , less yarn wastage and less noise. Thanks to two for one twisting spindle, the max. supply capacity goes up to 2600 garms. This allows take up package on bottom deck as bigger as possible to reduce machine stop time result in high efficiency. Heavy duty ring twisting spindles with max. take up weight 3.0Kg are equipped. So once supply bobbin loading makes 2 or 3 doffings according to the take up weight. This reduces labor cost upto 50%. Meanwhile, the two for one twisting spindle can run half rpm but get same tpm with traditional twisting.This reduces the machine working noise. DTAR200 has max. supply spindle no. 288 and 144 take up spindles for 2 ply but only 96 spindles for 3 ply. 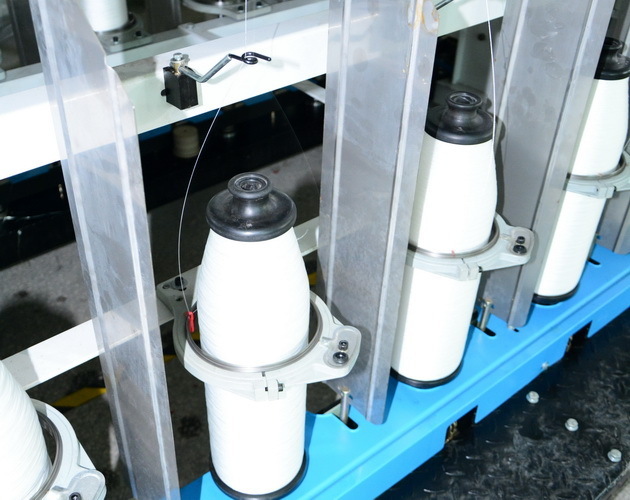 2 ply machine is flexible to process 3 ply yarn. 48 spindles will be empty at that time, therefore becomes first alternative for the beginners. Before DTAR200, we need to transfer the material into biconical bobbin. 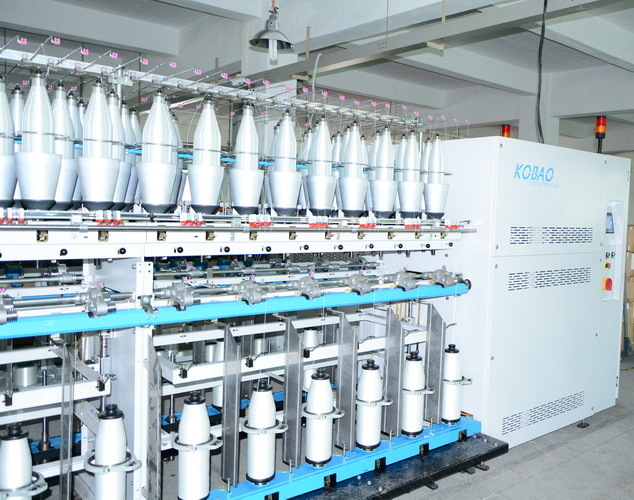 The free yarn balloon with less tension variation ensures excellent twisting quality with extreme twist even and strength loss is avoided in maximum. Thisis the very key parameters for a smooth sewing performance.